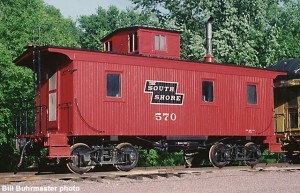 DSS&A 570 caboose, repainted for Soo Line convention. August 21, 2004. Mike Harrington photo. #570 at North Freedom, c.1989. Bill Buhrmaster photo. Between 1910 and 1919, the Duluth South Shore & Atlantic built thirteen identical cabooses in its Marquette, Michigan shops. The series was numbered from 566 through 578; DSS&A cabooses #568 and #570 presently at North Freedom are survivors from this series. #570 was built in 1913. 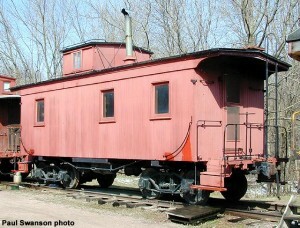 These cabooses were originally built with a wood underframe and truss rod design. In 1924, a steel centersill was added but the truss rods were retained. This was the only major modification ever made to #570. In the 1961 consolidation of the DSS&A into the Soo Line, #570 retained its original number as it did not duplicate any existing Soo number series. With the off center cupola design, the interior at the long end features six high-backed wood bench seats grouped into three pairs facing each other. This configuration allowed for each pair of seats to be made into a sleeping bunk for the crew. 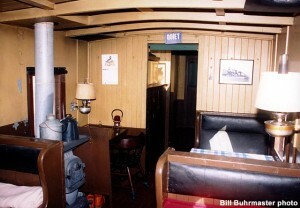 A coal stove and conductor’s desk occupy the remaining space in the long end. 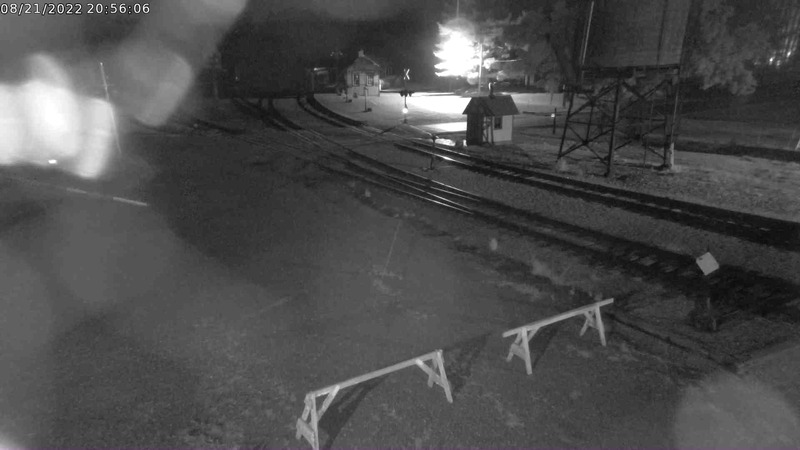 The interior space under the cupola is utilized with a coal storage area and equipment storage closets. The short end contains a sink and closet on one side and a low storage bench on the other side that could also double as another sleeping bunk. #570 was built without a toilet. 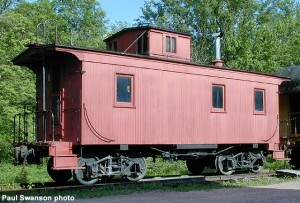 Even after Wisconsin passed a “john” law stating that all cabooses operating within the state had to be equipped, none were added. 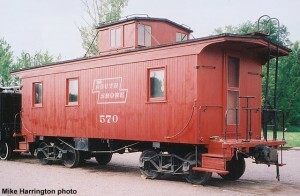 Theoretically, the passage of the law would have restricted the operation of these cabooses to upper Michigan. However, it is doubtful that the South Shore ever abided by it. 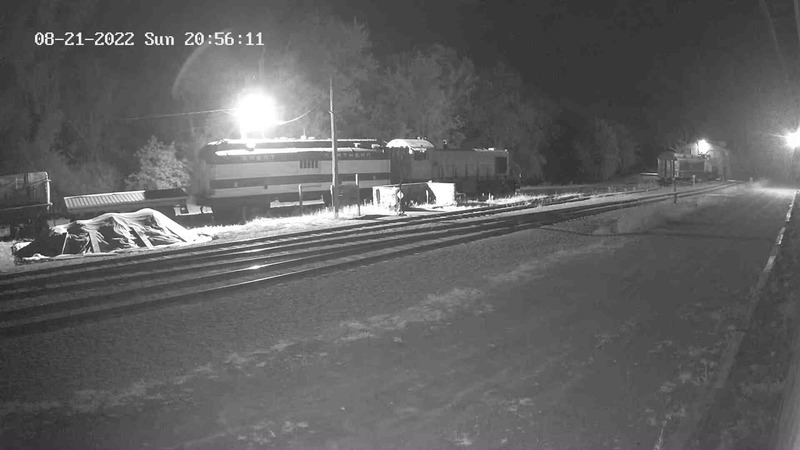 DSS&A #570 was privately purchased from the Soo Line and moved to Mid-Continent in July 1966. It has had its interior and exterior restored to a late 1930’s appearance. It is presently used for bunk facilities. 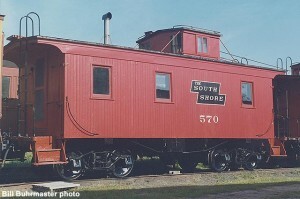 In 2004, #570 was cosmetically restored for the Soo Line Historical & Technical Society’s meet held at North Freedom on August 21, 2004.